Bangladesh were 122/2 at lunch but collapsed, unable to withstand Neil Wagner’s short-pitched bowling. A hasty rewrite of the battle plan saw Neil Wagner bag a five-wicket haul as New Zealand ripped through the Bangladesh tail to counter Tamim Iqbal’s virtuoso century on day one of the first Test in Hamilton on Thursday. Despite Tamim’s heroic 126, New Zealand claimed the first-day honours when they reached stumps at 86 without loss in reply to Bangladesh’s 234. 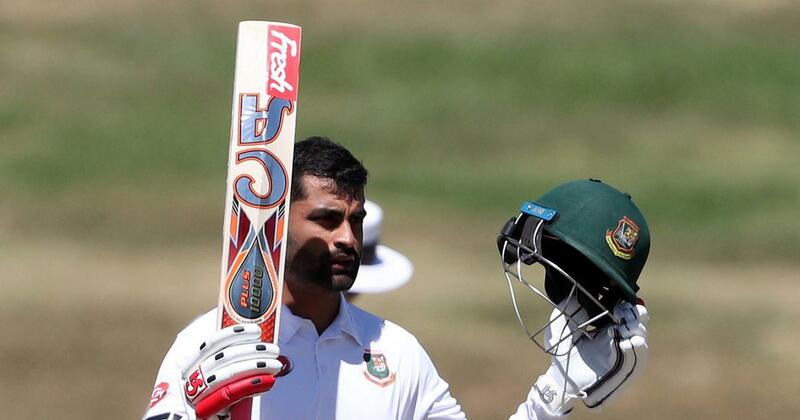 But for half the day everything had flowed Bangladesh’s way as Tamim led an assault on the New Zealand attack after being sent in to bat. The green wicket did not assist swing bowlers Tim Southee and Trent Boult and it took a switch to short-ball specialist Wagner to get results. “As a unit we started assessing how we had to bowl and how we had to try and bring ourselves back into it. 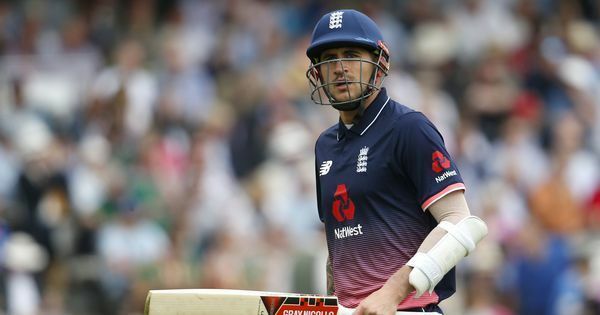 I thought we did that really well and obviously got the rewards for it,” said Wagner who finished with five for 47 from his barrage of bouncers. Tamim, Bangladesh’s most prolific Test run-scorer of all time, laid the foundations for a potentially huge total when he laid into the bowling. He cracked 21 fours and a six as he feasted on fruitless New Zealand efforts, led by Southee and Boult, to find the edge of his bat. But there was minimal support, and after Tamim had steered Bangladesh to 180 for four, his dismissal triggered a collapse where the last six wickets fell for 54 runs. Liton Das, the last man out, had the second highest score of 29. “I had a very clear plan. If the ball was there to hit, I would try to hit it. Luckily, I got a few boundaries early and then kept on batting the way I liked to bat,” said Tamim, who believed Bangladesh left themselves 150 runs short. New Zealand had an anxious moment at the start of their reply when Ebadat Hossain, on debut, saw his third ball in Test cricket fly from Tom Latham’s bat direct to second slip, but Soumya Sarkar spilled the straightforward chance. From there Latham and Jeet Raval knuckled down to bat unruffled through to stumps with Raval on 51, his eighth half-century, and Latham on 35. In a productive morning session, Bangladesh went to lunch at 122 for two with Tamim contributing 86, including 15 fours, as he showed that despite the green hue the wicket held no dangers. Wagner in that period took one for 13 off six overs, while Southee had none for 40 off six. One session later and Bangladesh went to tea at 187 for seven with Wagner’s figures improving to three for 29 while Southee was still being caned at one for 71. The pair cleaned up the last three wickets immediately after tea with Southee, while expensive, taking three for 76. Colin de Grandhomme only took one wicket but it was the key dismissal of Tamim who clipped a wide delivery to Kane Williamson at gully. It made up for de Grandhomme’s earlier error when he dropped a regulation caught and bowled opportunity from Tamim on 65.